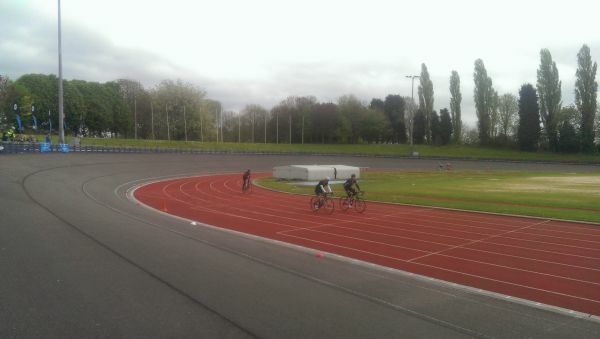 Start: Aldersley Stadium, Wolverhampton. Free parking and full facilities available. Roads: Fun route on quiet lanes and various off road surfaces, with some climbing, short distances on dual carriageways and some urban roads. 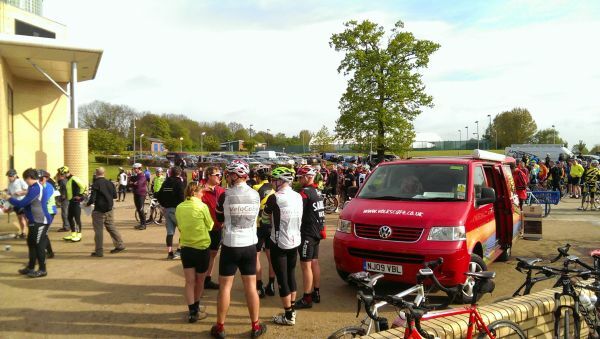 The Midlands own Paris-Roubaix-themed sportive returned for a second year with a slightly revised route, and I was keen to try it again after the success of last year. As part of a series, and sponsored by bike manufacturer Lapierre, it had great promise and looked set to build on last year's success, so did it? Based from Aldersley Stadium in Wolverhampton, ideal for me as it's relatively close, the day didn't get off to a great start as when I arrived there was a huge queue to register - it turned out there was a problem with the doors(!) and the staff couldn't open up. Despite them getting in somehow. This meant that the organisers had to come up with a makeshift desk outside, so a good job the weather was being kind. However, it did result in that huge slow moving queue. In addition, the event was put in jeopardy with only a week to go as a floodlight over the velodrome and running track had been lowered to be repaired, and then left, meaning the track was unusable. This had also cancelled the start of the local track league, along with a badly needed repair to the track itself. It seems Wolverhampton Council need to pull their fingers out here. Once registered and on the start line matters improved, although as we were late registering we were late starting, but at least we were away. Heading out of the urban sprawl via Trysull and Halfpenny Green, we were soon in greener surroundings. 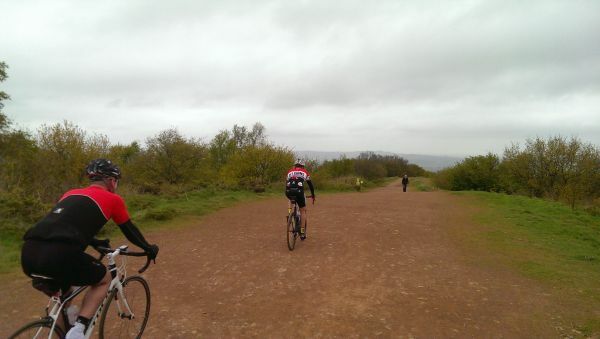 The route once more is a mix of rolling country lanes and off-road excursions onto bridal ways and gravel roads of varying lengths and surface, heading south toward the Clent hills. 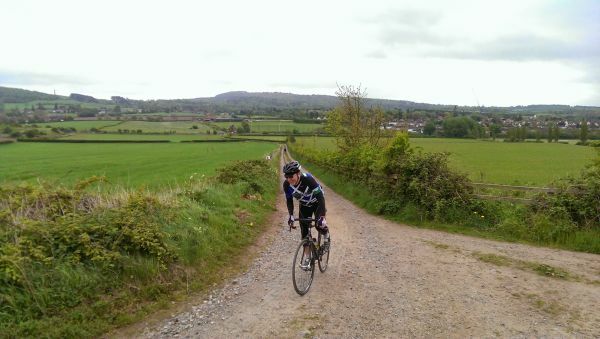 It's a very pleasant part of the country to ride, and the off road sections add a great variance into the ride. I chose to use my cyclocross bike (as I did last year), although the route is suitable for a road bike with tough tyres - no 23mm racing rubber for this one unless you want to spend the day fixing punctures. Still, I went with the crosser. I reckon the extra weight of the bike offsets the time wasted fixing things! Also, riding a bike like this means you can have a bit of fun on the rough stuff, flying along and not caring about bigger stones or holes, leaving the road bikes behind. At least until the smooth tarmac re-appears anyway. The pre-ride information had listed all of the sectors and even produced a pro-style chart that you could stick to the top tube or stem, so none of the sections should catch you out. They were all well signposted and detailed too. Two feeds were on offer, the first at the Queens pub in Belbroughton. Being French themed, there were croissants, brioche and waffles along with drinks and other snacks. From here the climb of the day wasn't too far off, rising steadily through bluebell strewn woodland before opening out and taking the right turn on to the feature climb, nicknamed the 'Waltonberg'. 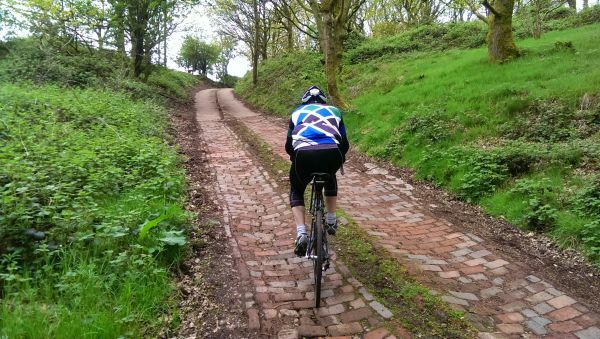 Steep at 22%, with a surface varying from dirt track to cobbles to bricks to concrete, I failed to get up last year as my wheel got stuck in a rut. Determined to avoid the same mistake I picked my line more carefully this time, passing the point I stopped last time with ease. However, feeling cocky I crossed over the centre strip of dirt and grass, the rear wheel spun up and I came to a dead stop. Failed again! 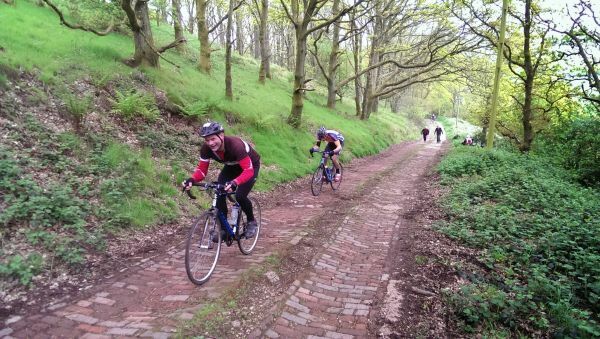 Never mind, as with last time it did give me a chance to get some photos and cheer other riders on, with a fairly even mix of successes and failures on the climb. Once at the top though the vista opens up with cracking views of the countryside, and a descent more akin to downhill MTB riding until you get to the main road. Things get back to the rolling nature of the first half from here, with plenty more gravel roads and bridal ways to play on. 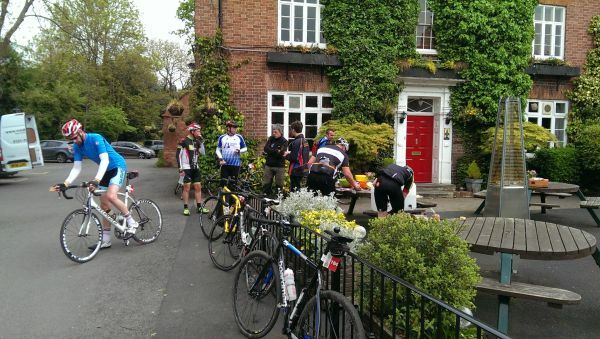 A final feed stop at the canal-side Navigation Inn at Greensforge offering more of the same as stop one, and if you're feeling sneaky, a short-cut along the canal towpath straight back to the HQ. I didn't see anyone cheating though, and with 13 miles or so back to Aldersley it's not too onerous anyway. Back to the sprawl for the last few miles in, before turning in to the stadium at the back entrance and on to the velodrome for a Roubaix style finish after a lap or so, with plenty of rivalry going on between mates as they sprinted for the win. Last year the small event village was set up at the side of the track itself, where you were presented with your souvenir Black Country coal and a glass of champagne. This time around it was all outside of the track area, and the champagne and coal just left on a table for you to help yourself - I didn't bother and it was pretty disappointing to be honest, with no real atmosphere. As with the previous edition, it's a great idea but it just wasn't as well implemented this year. 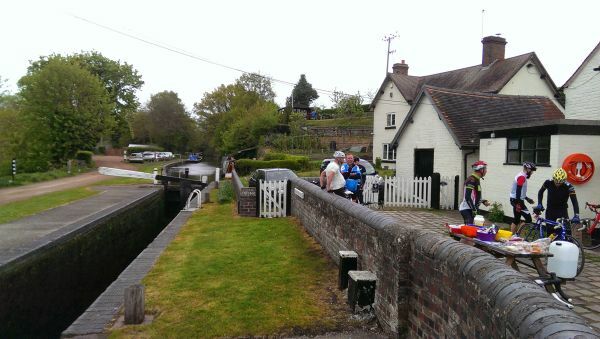 The route is great, the signage good (and improved from last year) and the feed stops sufficient. The problems at the start were out of the organisers' control, but the disappointing finish was not, and as I said, it was made even more so having seen it done so well previously. Not to detract from the whole though as it's not the core reason for riding, but if possible I would revert to the previous set up. Overall though a good event and great fun.